The BJP and the Congress have a "husband-wife" relationship where they fight but hide each other's secrets, alleged Delhi Chief Minister Arvind Kejriwal today. "I feel both parties have a husband-wife kind of a relationship -- Mister and Missus. BJP-Congress. They are like husband and wife fighting inside the house. They know each other's secrets," Kejriwal told Aam Aadmi Party volunteers in Panaji. "BJP knows the secrets of Congress and Congress of BJP. Someone told me that (Defence Minister) Manohar Parrikar has several files of Congress leaders in Goa, but he won't take action against them. 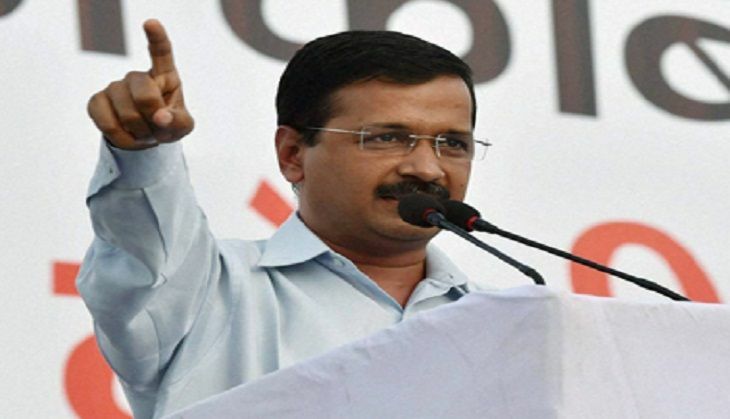 He will keep on threatening Congress with these files," said Kejriwal, who is the Aam Aadmi Party's national convener. "BJP and Congress have together looted people. Both parties combined are mafias, they run mafia raj." Kejriwal, who on Sunday began AAP's campaign for the Goa Assembly election next year, accused the BJP and the Congress of having an unwritten understanding to rule the country for five years each. He appealed to the people of Goa to shun their old political loyalties and vote for AAP this time "for the sake of the state". "I was told that people are reluctant to come out in support of AAP fearing that they will lose benefits of government-sponsored social welfare scheme, if they are spotted in AAP group," he said. "Don't worry, if they cancel the pension we will give all the pension with retrospective effect. Whatever benefits that were given by current government will be resumed (if AAP is voted to power) and dues will also be paid," he said.